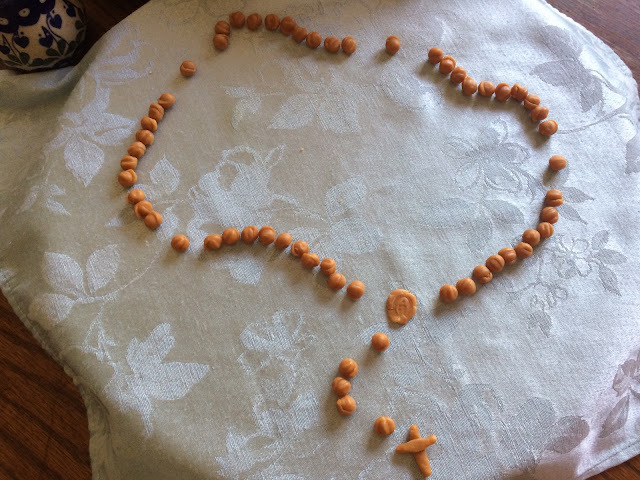 A very simple idea to celebrate the feast of Our Lady of Mount Carmel (July 16) is a rosary fashioned out of caramel bits. These cute and tasty caramel bits are a perfect rosary bead size - ready made. Just count out 59 caramel bits and arrange in rosary shape. I used some extra caramel to mold the cross and pressed a Marian medal into a flattened bead for the rosary center. 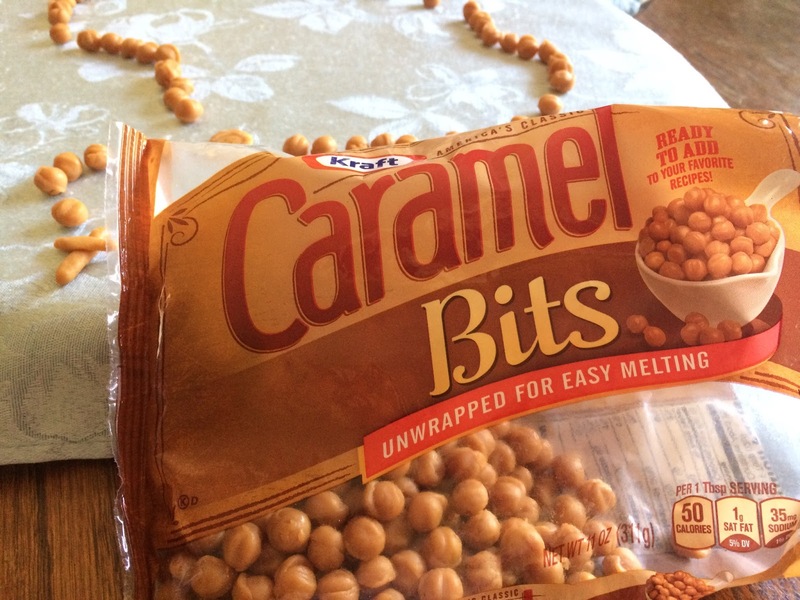 These caramel bits are made by Kraft and where available are sold in grocery store baking sections. You might have to look a few places to find them. I found these at Walmart. Though this feast day is most associated with the scapular, the rosary is always fitting for a Marian feast day. On this special Marian feast day the family could say the rosary together then enjoy snacking on the beads. Alternatively, you could eat the beads as you go along. Also, the rosary is a prominent feature hanging from the cinture of the Carmelite habit so is associated with the various Carmelite saints in images. This idea could be implemented on other feast days of the Carmelite saints, too.